Bradford John Faxon, Jr. was born on 1 August 1961, in Oceanport, New Jersey USA, and is a professional golf player, known for winning eight times on the PGA Tour, on which he’s been playing professionally since 1983. He was considered one of the most successful players of the PGA Tour throughout the 1990s, and has been very consistent throughout his career. All of his efforts have helped put his net worth to where it is today. 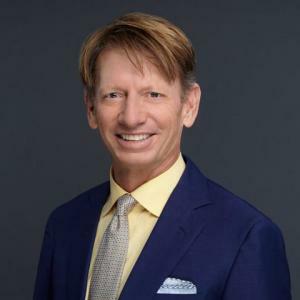 How rich is Brad Faxon? As of mid-2017, sources estimate a net worth that is at $13 million, mostly earned through a successful career in professional golf. He’s also participated in the Champions Tour, and has done broadcasting work too. As he continues his career, it is expected that his wealth will also continue to increase. Brad grew up in Barrington, Rhode Island. He attended Furman University, studying Economics and graduating in 1983. During his time there, he was a member of the golf team and was a two-time All-American. He was part of the 1983 Walker Cup Team, and won the Haskins Award for most outstanding collegiate golfer in the United States. During the same year he turned professional. On the PGA Tour, he’s won eight times and also played on two Ryder Cup teams. He built a reputation as one of the best pure putters in the history of golf. His net worth has increased significantly thanks to his success, and he led the PGA Tour in putting average three times; according to an interview, the reason for his success is his confidence. He was considered one of the most successful players in the 1990s, staying within the top 20 of the Official World Golf Rankings consistently. However, in 2003 he had a knee injury which led to his worst season the following year. He eventually bounced back, winning in 2005 and becoming a part of the PGA Tour Money List. He underwent surgery in 2005 to repair his knee, and then returned to action in 2006. In 2011, he made his Champions Tour debut, and would win his first title at the Insperity Championship. Aside from playing golf, Brad has worked for NBC as a golf analyst during the 2010 season. In 2014, he joined Fox as an on-air commentator alongside David Fay. For his personal life, it is known that Faxon is married to Dory, and they have four daughters. He does a lot of charity work, and is known as one of the most generous figures in the PGA Tour. He created the Billy Andrade/Brad Faxon Charities of Children which has donated over $3 million to needy children in Massachusetts and Rhode Island. He also hosts the CVS Charity Classic tournament and is the co-chair of “Button Hole with Andrade”, a course to help children. He also has his own junior golf foundation and led a drive to help save the golf program at Furman University. He was given a Charlie Bartlett Award for his charity work. 1 Although he played a "bowling buddy" in "Kingpin, he is a profesional golfer.